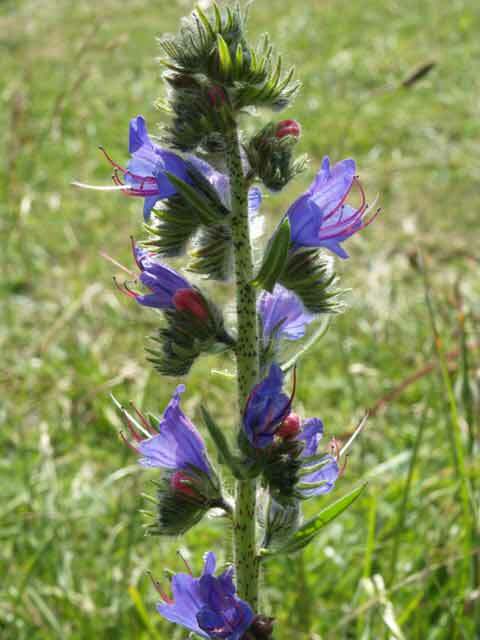 Description: A flamboyant plant of dry banks and dunes in, the viper's-bugloss seems to belong to a hot far-away country. 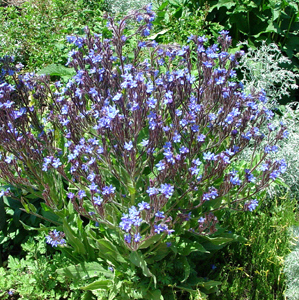 With rough, blue petals and red stamens that flick like tongues, its hard not to think this plant's snake-like appearance contributed to its name. In fact, it was once used as an anti-venom for bites from the spotted viper. Outstanding Features: Attracts bees and butterflies, but can be irritating to the skin. Tips: Also known as 'snake flower' and 'blue devil'. Long taproot. New shoots develop from root stock fragments.